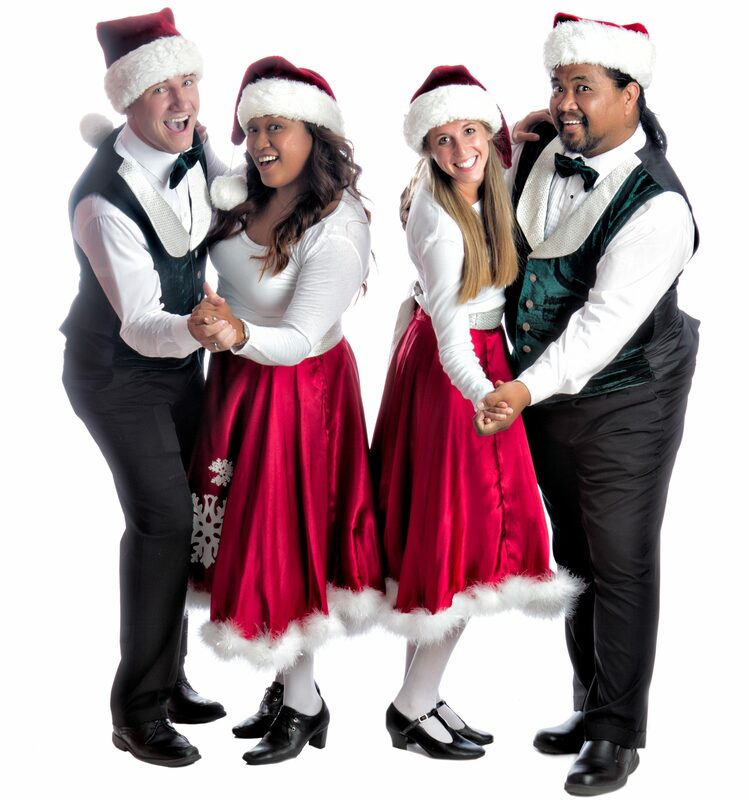 Full Measure has four different singing groups to fit your San Diego holiday or Christmas corporate event, wedding, or private party. From the Victorian era of our Full Measure Carolers to the modern winter white of Frostbite to our timeless Rockin’ Cranberries, we have a singing group to fit your tastes. Want to add something special? Our Holly Bells include hand chimes with their singing. Many of our singers are full-time musicians, which ensures the highest quality entertainment for you and your guests. Full Measure Carolers is our signature vocal ensemble. 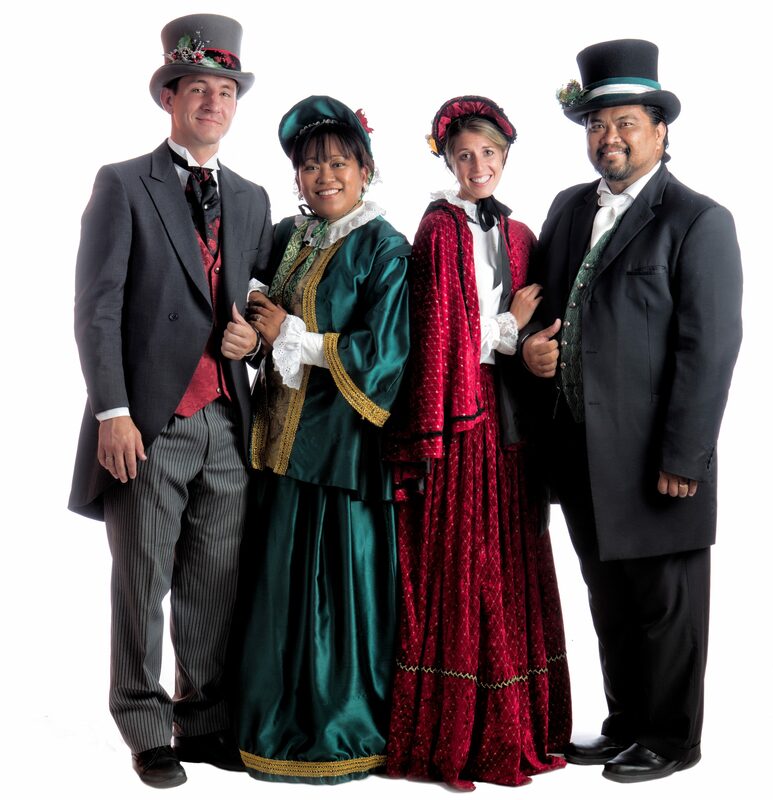 Comprised of 4 singers in authentic, Victorian (Dickens-style) attire, this group is perfect for party planners who want to add a nostalgic touch to their holiday event. Frostbite is our newest a cappella ensemble. 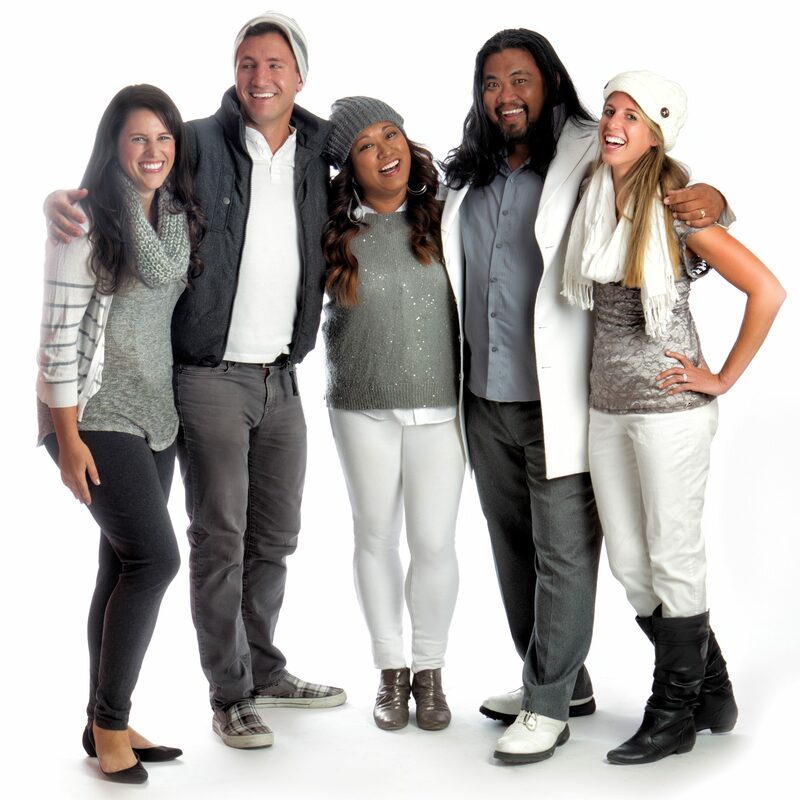 Similar in style to groups like Pentatonix from the Sing-Off, or The Beelzebubs from Glee, this group brings a hip, high energy performance to any modern setting with urban beatboxing and tight harmonies. If you’re looking for something a little edgy and off the beaten path, this is the group for you! The Rockin’ Cranberries is our lively vocal jazz quartet. This group will add just the right amount of pop and spirit to any event. A lot of fun for family-friendly events and other parties with a more casual atmosphere, we bring holly, jolly cheer wherever we perform! Ring in the holiday season with Holly Bells, our fun and festive handbell ringing quartet. 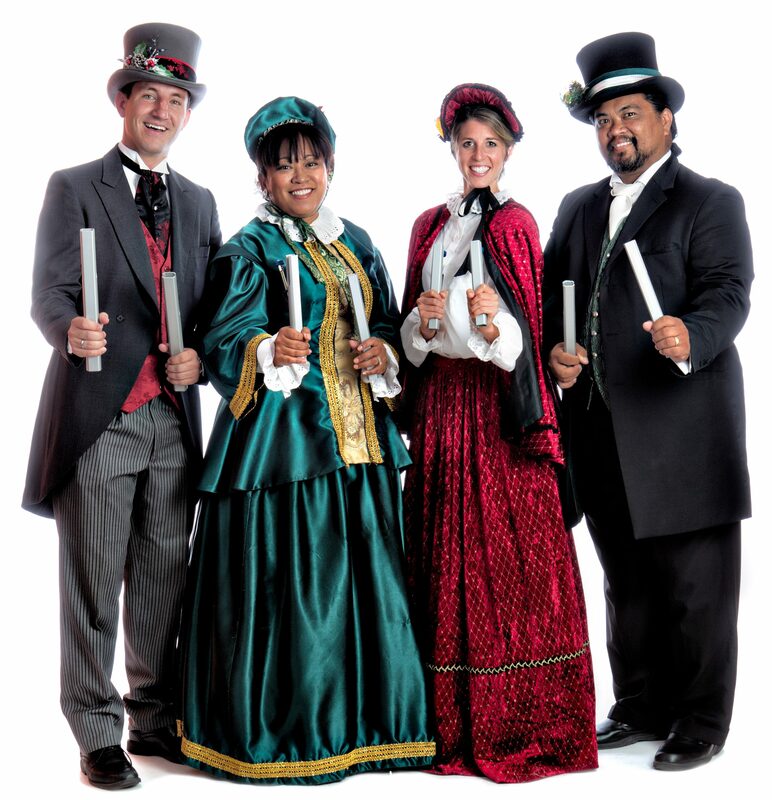 This unique group will come dressed in either Full Measure Carolers or Rockin’ Cranberries attire, and will play lovely handchimes to accompany their beautiful singing. Great at holiday events for kids and adults alike!